These Double Coated tapes are typically thin gauge and used for permanent bonding or holding of carpets, films, flat metal plates or in other low demand applications. 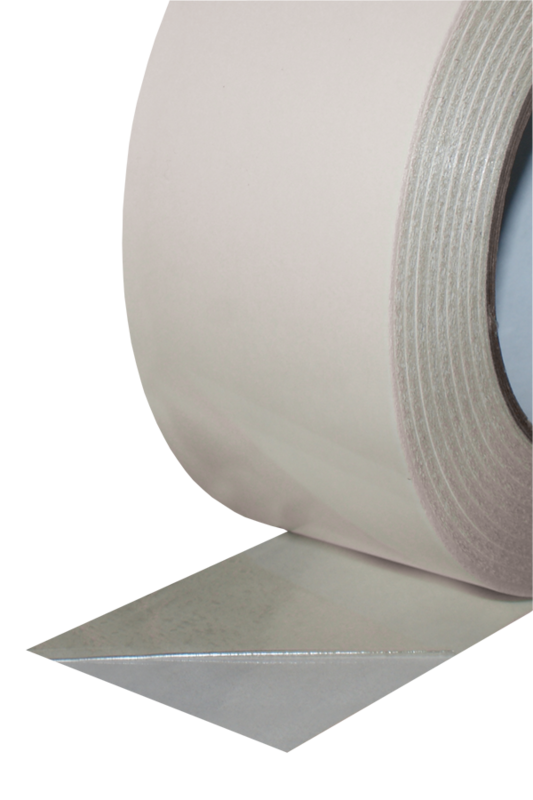 The thin profile makes these tapes best suited for smooth, non-textured surfaces. Both rubber and acrylic adhesives offered for a range of temperature conditions – acrylic adhesives best for elevated temperatures and outdoor exposure. Designed for permanent hold-down of carpet. Versatile quick-stick product for use on foams, plastics, metals and composite materials or for web splicing. Temperature range: 10°F to 170°F. Not suitable for applications involving elevated temperatures. Solvent based acrylic adhesive coated on clear 0.5 mil polyester. Features cold-resistant -40°F to 250°F temperature range and a UV stabilizer system. Good on many substrates such as metals, foam, paper, plastic, foil, and film for laminating, bonding, splicing, and attaching.